FOR BELOW GROUND SWIMMING POOL FAILURE, AN ENGINEERING-BASED APPROACH IS NEEDED TO FIND THE TRUE CAUSE. Because of our wicked New England winters, below ground swimming pools can fall prey to the same causes of failure as above ground and hot tubs. 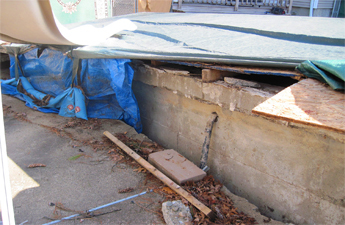 Our network of inspectors is conveniently positioned all over New England to respond to losses quickly and efficiently. Since swimming pool damage may only be evident after inspecting the walls and surfaces under water, we use underwater photography that allows us to pinpoint causes of damage that may be difficult to detect otherwise. 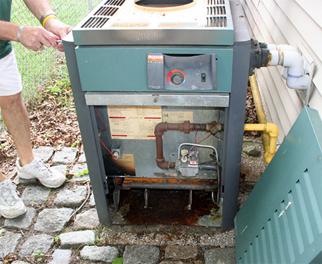 Damage to pool heaters can be caused by any number of factors. An ISE investigation using the latest techniques and technology can determine the true cause of failure beyond any doubt. Following an inspection by ISE, it was determined that this pool liner needed to be replaced. 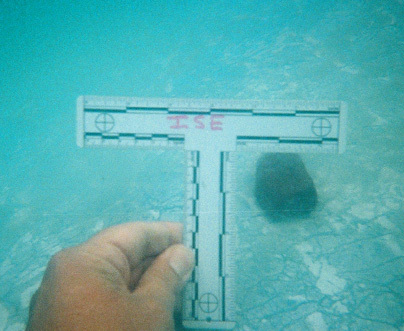 At the direction of ISE, the insured's pool contractor cut out the portion of the pool liner containing the failed area and sent it to ISE for examination. Here the liner is being replaced by the pool contractor.